1. This iconic, Marcel Breuer-designed home is a steal at less than $1 million. 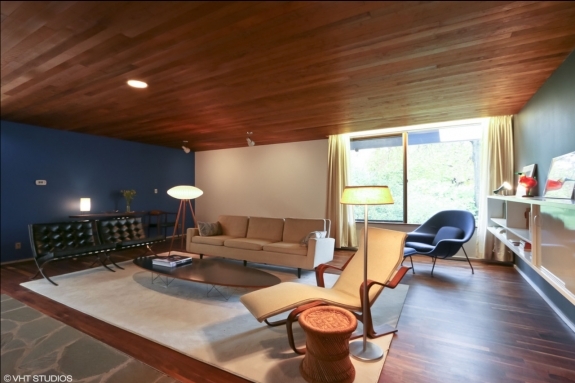 The legendary and profoundly influential Modernist architect Marcel Breuer designed this residence for the Snower family in 1954. Located in Mission Hills, Kansas—a suburb of Kansas City—the home was meant to stand out from the typical ranch-style homes that populated the area. And that it does. Breuer’s unique, cantilevered design makes for a residence that seems to defy gravity, appearing almost weightless.